At the recent CAA conference, AHTR had the pleasure to participate in the forward-thinking panel “What have you done for Art History Lately?” as part of the initiative Art History That (AHT), the brainchild of Karen Leader, an Assistant Professor of Art History Florida Atlantic University, and Amy Hamlin, Associate Professor of Art History St. Catherine University. Art History That, which launched in 2014, aims to curate, crowdsource, and collaborate on the future of art history. According to Leader and Hamlin, “I am for an art history that…” is an open-ended exercise in aspirational wish-fulfillment for the field, both collectively and individually. Participants submit an avowal via email or twitter adding their voices to a growing repository of statements. Contributions vary from the uncomplicated, “I am for an art history that makes my students jump up and down with glee,” to the academic, “I am for an art history that recognizes that critical theory has the potential to be inclusive to the people it excludes.” A list of the authors is published on the site underscoring the collaborative aspects of the venture. Authors include Charles Haxthausen, Linda Nochlin, and Kenneth Silver as well as a number of emerging art history instructors and scholars. For CAA 2015, Leader and Hamlin drafted a Call for Papers that acknowledged the crisis in the art history discipline (and the humanities in general). Their interest in the issues was piqued during CAA 2011 “Critical Issues in Art History” series that was sponsored by the CAA Board of Directors. Participants in 2011 included Patricia Mainardi, Patricia Rubin, Stephen Murray, David Joselit, Elizabeth Easton, and Maxwell Anderson who explored a host of overlapping and, at times, competing economic, political, and pedagogical concerns that appeared to touch the practice of art historians. Reactions to the “crisis” were published in the December 2011 issue of Visual Resources. The title of Leader and Hamlin’s 2015 session took this flashpoint as a foundation, translating it into the session “What Have You Done for Art History Lately?,” a title chosen to “provoke sustainable initiatives for the future of art history that are also ideally transferable to the humanities at large”–in short–to continue the conversation of how to sustain and invigorate our discipline in academia. Patricia Mainardi agreed to serve as discussant and, in an eloquent and passionate response paper delivered at the end of the session, proposed that the initiative become a part of future CAA events in order to maintain the momentum started in New York in 2015. The “What Have You Done for Art History Lately?” session was inspirational, building on historical initiatives that promote collaboration and crowdsourced sharing (resources such as H-Net: and H-ArtHist, Art History and Its Publications in the Electronic Age, as well as promising initiatives including The Material Collective, Imagining America: Artists and Scholars in Public Life, and the UK Association of Art Historians (AAH)’s Art History in the Pub that integrates pub and scholarly culture). 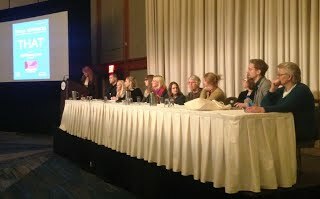 What these initiatives and those at the 2015 session have in common is that they stress, among other issues, scholarship, open-access, and action within a broader-based community in art history in traditional spaces such as the art history classroom (or pub!) as well as exploring the capabilities of the digital medium. Who is art history’s audience? Could art historians save the internet? Could art historians make better contributions to metadata? Could art historians do a better job of engaging with science and technological innovation? Could the field of art history do better at valuing what it is to publish in the digital age? What is it to teach in the digital age? His talk was followed by an introduction to Wölff: Art at your Fingertips by founder Greg Bryda. 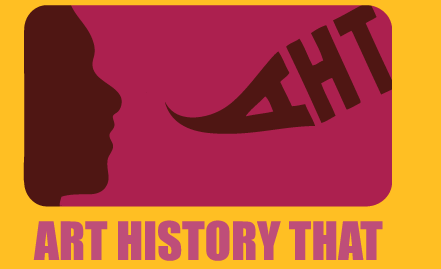 [AHTR featured the beginnings of the Wölff project in this Journal post last year.] What has Wölff done for art history lately? It reminds us that Powerpoint, the foundation now of the majority of art history lectures, was not made for art historians, but for business presentations, providing only a fixed image and entailing a labor-intensive process for the lecturer to insert the meta-data into the PPT “slide.” The images in Wölff are interactive and the collection is a crowd-sourced library of art designed for and by art historians. Colleen Denney shared a compelling collaborative project, Where Art History Takes Us: ‘Raise Your Banner High! that focused on connecting visual culture, community engagement, and feminist practice in an event that united both faculty and art history students in the annual Take Back the Night march on the University of Wyoming campus. The posters designed by the students bring art history and its intersections with public protest to a wider audience including university students, faculty, and the greater Laramie, WY community (where the event was broadcast on local television). AHTR presented a paper on building community around teaching the art history survey and valuing academic labor in the process. Tina Rivers Ryan and Sarah Schaefer introduced the “State of the Arts” through their innovative Art History Today. Through a blog, podcast, and social media accounts, Ryan and Schaefer hope to make art more meaningful for audiences outside of traditional art history scholars. Andrea L. Siegel of Hudson County Community College spoke of how surrounding students with art on campus can encourage them to think outside regular paradigms of their majors, describing how to turn the public areas of a community college into an art museum and how to build a campus art collection. Kim S. Theriault of Dominican University delivered a paper titled Practical Professional Practice: Enlisting the Alumni Panel for Promoting Art History, Art-Making, and Happiness. Sarada Natarajan presented remotely from the University of Hyderabad on Art History for Artists: Experiments from an Indian University and Sarah E. Diebel of University of Wisconsin–Stout made a deliberately humorous (yet completely compelling) presentation on using the power of advertising to encourage students to consider engaging with art history classes at undergraduate level. None of the presentations claimed to be a magic bullet, but that was not the purpose of the session. Instead, the state of the field was celebrated for these encouraging projects (only a representative few) that had recently emerged, while acknowledging there were still huge issues (adjunct labor, and poor job prospects for students and teachers of art history being two discussed during the ensuing Q&A) that remain to be tackled. Much remains to be discussed. Will someone take up the baton for a similar panel for CAA 2016?